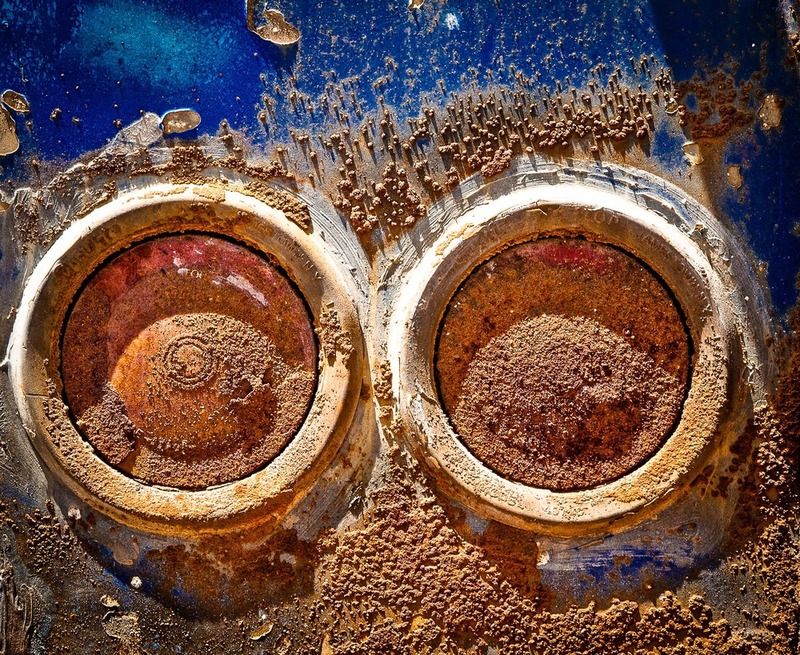 I'VE ALWAYS BEEN ATTRACTED to the pipes and wheels and gears of old machines — so of course I discovered rust. Iron changes shape as it comes into contact with oxygen, and in time it completely disintegrates. The paint peels and bubbles until eventually it comes off, but meanwhile it looks great.